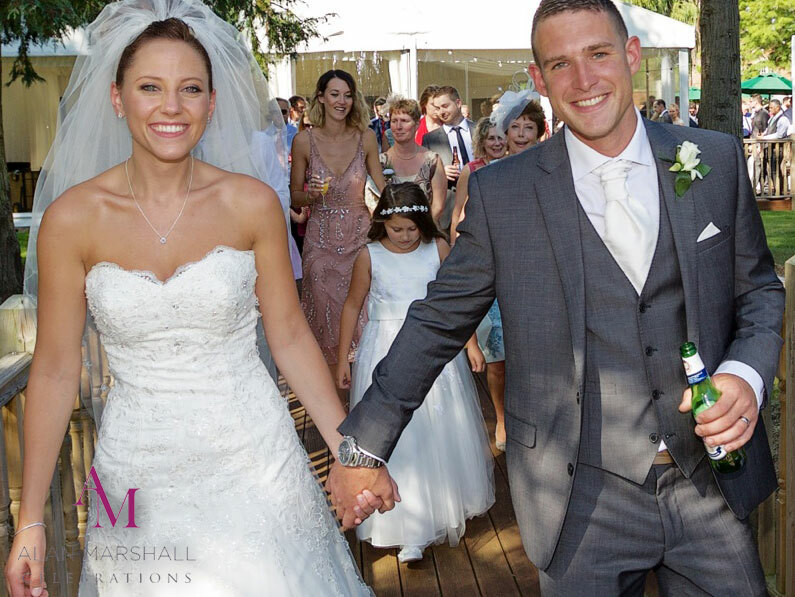 No matter which part of a wedding you are planning, it is vital that you have the right people in place to manage every aspect of it. Every piece of the puzzle has to be perfect in order to ensure that you have the perfect day. 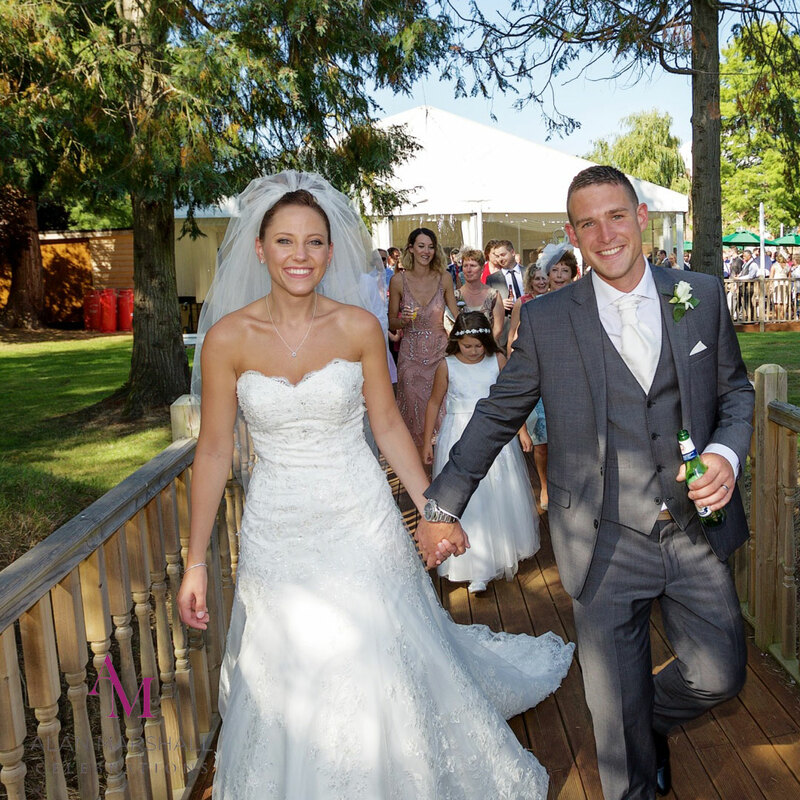 Luckily, you need look no further when it comes to daytime and evening entertainment, as the perfect solution is just a click away I have the ability to help you plan the whole day in a way that suits you and your needs with our “all day wedding service”. 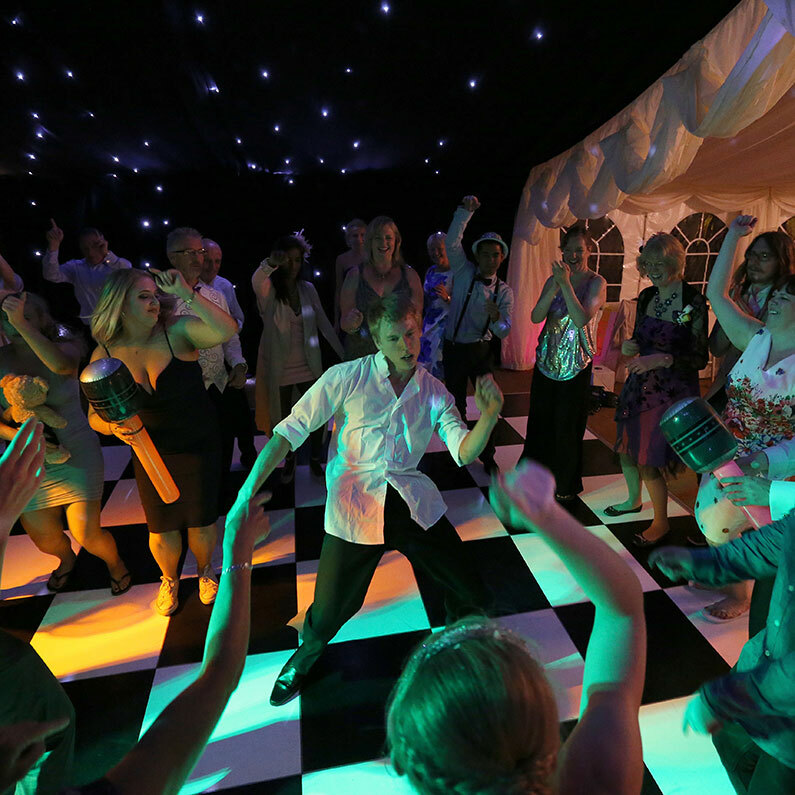 The evening disco at a wedding has a number of roles – the chance for the wedding party to relax after the stress of months (or even years) of planning, the opportunity to socialise with guests from the wedding, and the option of putting forward a message in the music that is chosen for the disco itself. When it comes to choosing a message, my “Your Love Story” service could be ideal for you. 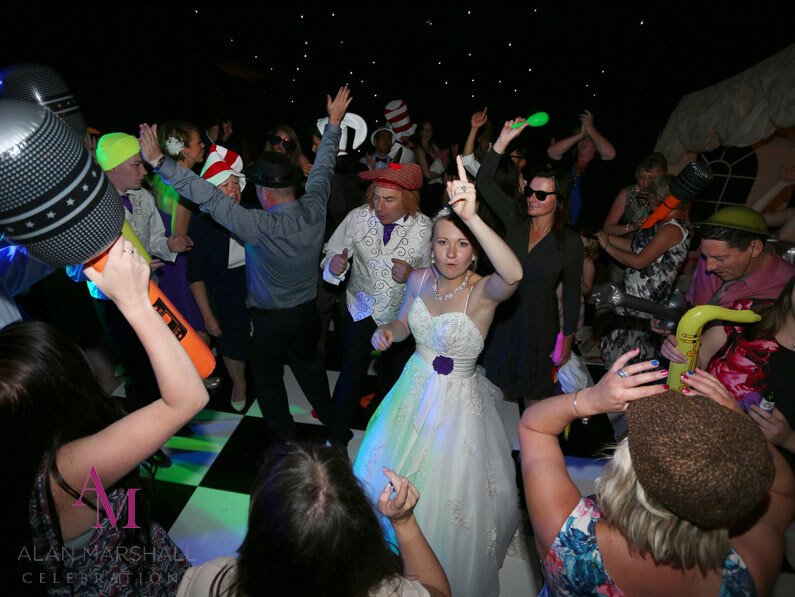 As your wedding day DJ, I am able to work with you to make sure that you can have a party to remember from start to finish. I understand just how important music can be in any big event, and this is why I work closely with you in order to find music that sets exactly the right tone that is needed for the occasion. I am able to show you a huge library of music of both traditional and unusual choices, meaning that if you’re struggling to come to a decision we can work through it and find something that will work for you. 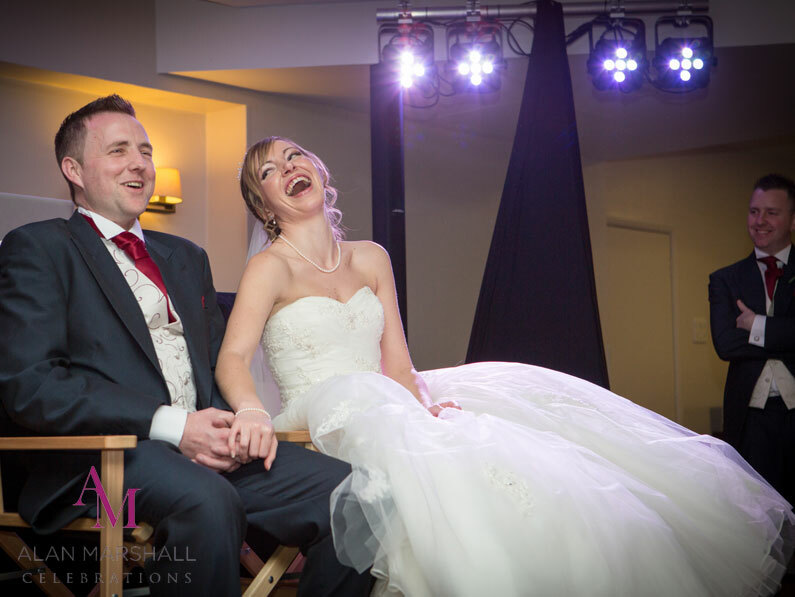 Everyone has a story to tell, and in around ten minutes I can present the story of your love to your guests. This has the opportunity to bring incredible emotion to the occasion and can tell the story in a way that even you as a couple have never heard it before. I can take information that you have given to me previously and shape it into a stunning presentation that will leave your guests entertained and emotional. 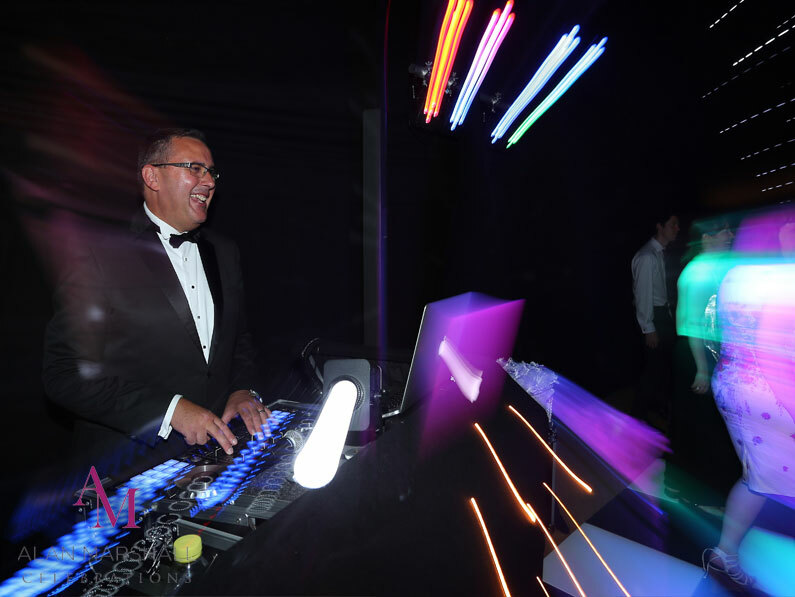 The right set list for a disco can make or break a party – and as your DJ I can promise you a collection of music that will make your night one that all who attend will be able to remember for the rest of their lives. No more worries about the music – leave it with me and enjoy your occasion.